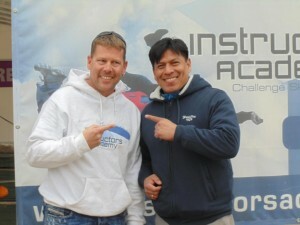 We welcome Alberto from Mexico who is already long time in the sport and a very experienced tandem master. Alberto has been without jumping for a while and wanted to get back into business for this season. He took the initiative and travelled to Greece for a weekend where Marcus trained him on his recurrency procedures. With a short refresher and some recurrency jumps, Alberto is now back in the air and ready to take passengers for a joy ride. Thanks for your visit and have a great season!